Apple’s plans to introduce a streaming music service have reportedly been put on the backburner until later this year. Dubbed iRadio, the service was expected to launch last month but troubles over licensing rights with Sony have delayed the feature until this summer at the earliest according to The New York Times. The publication points out that Apple wanted to integrate the service on iOS devices and support it using iAds instead of having it arrive as an optional, standalone app in the App Store. A separate report from The New York Post suggests that Apple is having a tough time convincing record labels to buy into the service. Apple reportedly is only offering up $0.06 per 100 songs streamed which is about half of what Pandora pays. Alternately, Spotify shells out around $0.35 to labels for the same number of songs. Insiders told the publication that Apple should pay at least the rate set by the Copyright Royalty Board which stands at roughly $0.21 per 100 songs streamed – a rate that applies to companies that do not own broadcast operations. 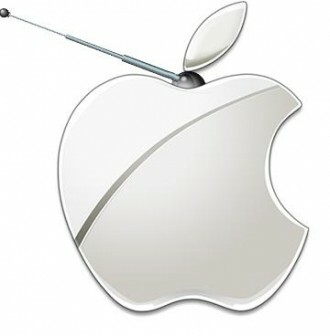 Sources say record labels want an upfront fee from Apple in addition to a percentage of ad revenue and streaming fees. Just yesterday, reports surfaced that Apple CEO Tim Cook recently met with Beats Audio executives to discuss their upcoming music streaming service. Sources said the meeting was informational although neither side discussed any specifics relating to a deal.